Thursday’s White House press briefing featured a guest appearance by White House chief of staff John Kelly, who doubled down on the ignorant and disrespectful comments the president made to the widow of a fallen soldier earlier this week. 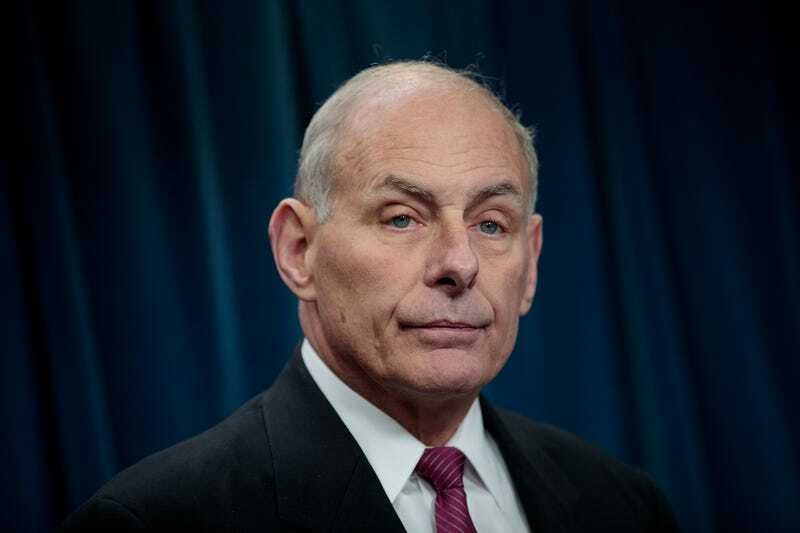 The biggest takeaway from the briefing was Kelly using his time to attack Rep. Frederica Wilson (D-Fla.), who has been especially critical of Donald Trump for the remarks he made to Myeshia Johnson, the pregnant widow of U.S. Army Sgt. La David Johnson. Sgt. Johnson was killed in action Oct. 4 in Niger when his group was ambushed by what are being described as 50 Islamic militants armed with rocket-propelled grenades and machine guns. Wilson was present when Johnson’s widow received a call from Trump, and she said that over a speakerphone, she heard him tell Myeshia Johnson that her husband “knew what he signed up for.” Wilson has denounced the president’s remarks in the press, calling them insensitive. Kelly said it was this message that Trump was trying to convey to Johnson’s widow in his own way. “I was stunned when I came to work yesterday morning and brokenhearted at what I saw a member of Congress doing,” Kelly said, referencing Wilson. “A member of Congress who listened in on a phone call from the president of the United States to a young wife and in his way tried to express that opinion that he’s a brave man, a fallen hero. “It stuns me that a member of Congress would have listened in on that conversation. Absolutely stuns me. And I thought at least that was sacred,” Kelly continued. Kelly said he was so upset by what he heard Wilson saying in the news, he had to go take a walk by himself through Arlington National Cemetery for an hour and a half to collect his thoughts. In recent interviews on the subject of his phone call to Myeshia Johnson, it appeared as though Trump could not even remember Sgt. Johnson’s name, so for Kelly to direct his outrage at a congresswoman who is simply sticking up for a widow who she feels was slighted and insulted seems a little over the top. What Trump meant to say and what he actually said are two different things. Kelly himself said during the briefing that he had advised Trump not to make the calls, saying that neither President Barack Obama nor President George W. Bush called families in every case, and Trump should have heeded that advice. He has demonstrated time and time again that he is incapable of sticking to the script. And while Trump got on Twitter on Wednesday and accused Wilson of fabricating what he said, at no point did Kelly refute her version of the events. Instead, he denigrated her for having heard the phone call in the first place. That’s called spin, ladies and gentlemen. It’s not Frederica Wilson’s fault the president is an idiot. Watch Kelly’s remarks for yourself in the video below, and tell me what you think.